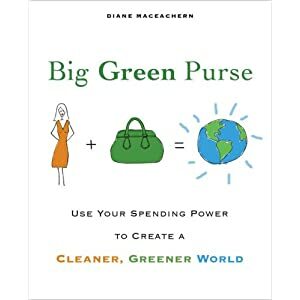 After much consideration, all it took was one page from the book “Big Green Purse” by Diane MacEachern to inspire me to strive for a greener lifestyle. After checking out her website http://www.biggreenpurse.com/ I signed up for the one in a million challenge where consumers switch $1000 from their normal spending each year to greener products. So week by week, I’m slowly getting greener. Now to figure out how attainable it is to go green (on a budget! ).